As a Civil War historian, the toughest and most challenging question of all is “who is your favorite historical person?” From Union war heroes to gallant Rebel commanders to the common soldier to the near-million fallen troops of both sides, they all have unique, meaningful, and awe-inspiring legacies that have shaped us as a country today. In my eyes, they are all my favorite for various reasons; however, I had to choose one. Instead of picking someone well known to the Civil War community, I thought I would share the story of one common soldier who revolutionized the lives of his fellow veterans, specifically the ones who gave their own limbs for their cause: James Hanger. Born in 1842 on his father’s plantation near Churchville in Augusta County, Virginia, eighteen-year-old James Hanger was just a young engineering student at Washington College when the Civil War erupted. Like many young male members of the Virginia elite, Hanger left school on June 1, 1861 to volunteer and join his brothers in the mobilizing Confederate army. Although previously said to have been with the 14th Virginia Cavalry, he most likely joined the 23rd Virginia Infantry while the unit was encamped in the small western Virginia town named Philippi. These Rebel troops attacked and burned several bridges throughout the area to deter Union troop movement. Within days of joining his regiment, James Hanger experienced his first fight. Early in the morning on June 3, 1861, 3,000 Federal troops under the command of Colonels Benjamin Kelley and Ebenezer Dumont advanced on Philippi and the sleeping Virginia troops. Within a mere twenty minutes, the Federals pushed the unsuspecting Rebels out of the town. The Battle of Philippi was considered to be the first land battle of the Civil War and sarcastically called the “Philippi Races” due to the Rebels’ quick retreat. Though small and largely forgotten, the Union victory at Philippi helped push Maj. Gen. George McClellan to prominence because of his role in strategically securing western Virginia. More importantly, this one battle directly lead to the development of new prosthetics for Civil War veterans. During the battle, Pvt. James Hanger was severely wounded below the left knee by a 6-pound solid shot as it plowed and ricocheted through a stable where he had slept. His leg shattered, Hanger was captured by advancing Federal troops and taken immediately to a field hospital. With the extreme blood loss, the young soldier was put under chloroform as the regimental surgeon of the 16th Ohio Volunteer Infantry Regiment amputated his left leg. Recalling the event years later, Hanger was “taken to a private house in Philippi […] I remained there for two weeks.”  As a captured Confederate soldier, the youthful amputee was exchanged at Norfolk and officially discharged for disability. Hanger and another Rebel soldier were the two first amputees of the American Civil War, which ultimately took the limbs of over 50,000 other veterans. For men of the Victorian Era such as Hanger, the loss of a limb equated to a loss in manhood and honor. As historian Brian Craig Miller notes in his masterful study of amputation in the Confederate South, Southern gentlemen were “to embody their own patriarchal power; they were to be robust and strong […] the white male physique was the defining marker of manhood.” Yet, those same gentleman who embodied that manhood were to march off to war in 1861 to prove that same manhood they strove for. In just months with the battles of Manassas and Wilson’s Creek, the Civil War had proven its devastation and the destruction of those notions of Romantic and honorable battles. The young student-turned-soldier was traumatized by his experience losing a limb, “I cannot look back upon those days in the hospital without a shudder. No one can know what such a loss means unless he has suffered a similar catastrophe.” The men with missing limbs, like Hanger, “were broken, physically and often psychologically.” Though Hanger was broken after losing his left leg and being captured by the enemy, he understood that through his challenges he could help others. During his recovery at home, James E. Hanger struggled to find meaning in his own sacrifice until he found his purpose of engineering his own false limb. Despite being in existence since circa 1,000 BC, prosthetic limbs were still in their infancy by the time Hanger developed his prototype. In 1861, most prosthetic limbs were expensive, primitive, simple in design and material, stiff, and not accessible on a mass scale. Using a combination of old oak barrel staves, rubber bumpers, and nails, he created a prosthetic left leg so he could walk and stand. To make the limb feel more natural, Hanger added hinges and joints. These revolutionary features made his prosthetic design, named “The Hanger Limb” among fellow amputees, unique. By the end of 1861, the Hanger Limb prototype was complete and its inventor had opened his first shop in Staunton, Virginia. Over the course of the following two years, Hanger continued to produce prosthetics and perfect his design. 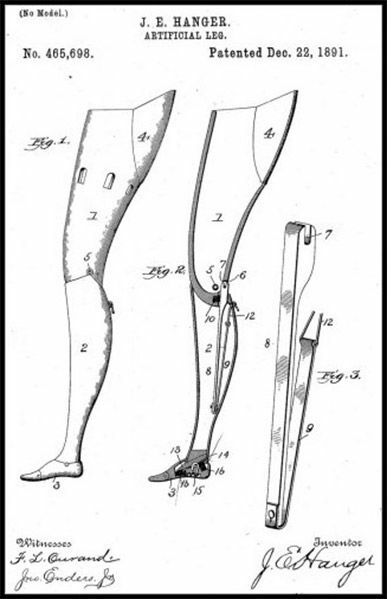 By March 1863, he had filed and received a design patent from the Confederate Patent Office for an “Artificial Limb.” Just months later in August 1863, he made slight modifications to the design and received a second patent, as well as another shop in Richmond. His prosthetic grew in popularity, because of its light weight, comfort, sturdiness, and better function than others. 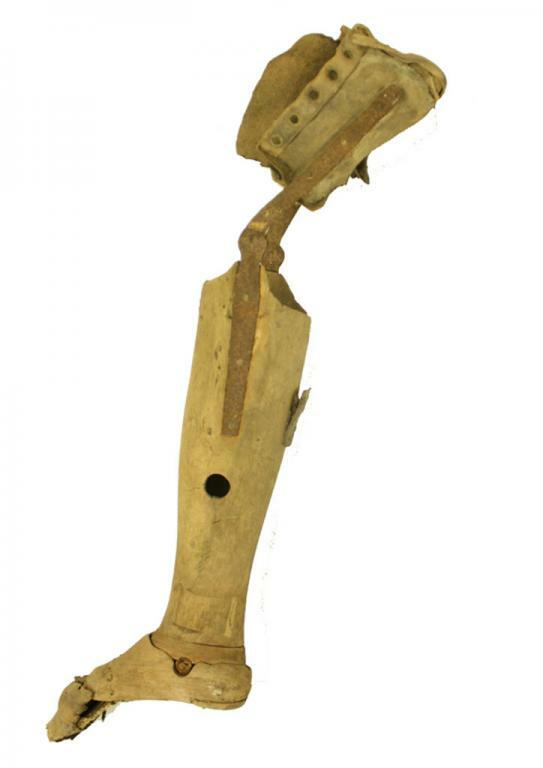 By the end of the war, the Commonwealth of Virginia and the Association for the Relief of Maimed Soldiers ordered over a thousand of these popular false limbs from Hanger to care for the Confederate amputee veterans. Although it would seem that the highest demand for prosthetics would be during a time of war, yet the post-war era would bring the greatest number of customers to Hanger’s growing business. After the guns fell silent in 1865, work continued for Hanger in perfecting his product. 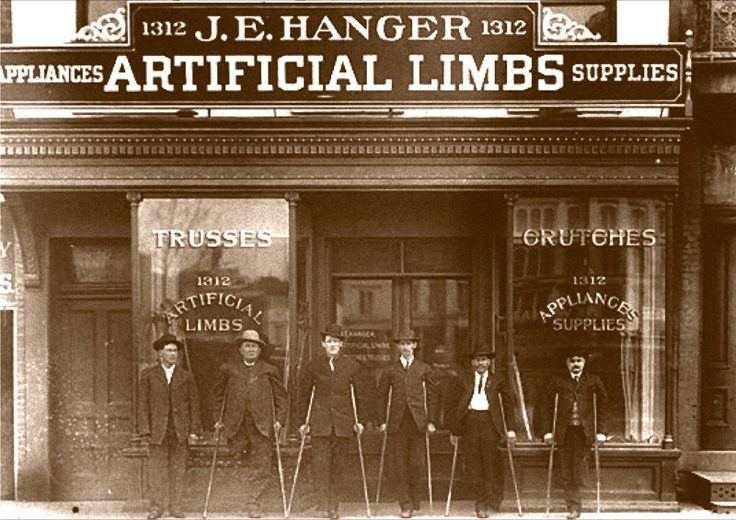 In 1871, ten years after losing his leg at Philippi,“The Hanger Limb” received a US Patent  Through the remainder of the 19th century, Hanger’s business grew exponentially in size, with branches in Washington, Atlanta, Saint Louis, Pittsburgh, Baltimore, and Philadelphia. In 1906, J.E. Hanger’s company was officially incorporated. Work on prosthetic limbs continued throughout the Great War (World War I), providing amputees with a second chance at life beyond the front. Hanger even traveled to the Western Front to teach amputees how to use his prosthetic limbs. 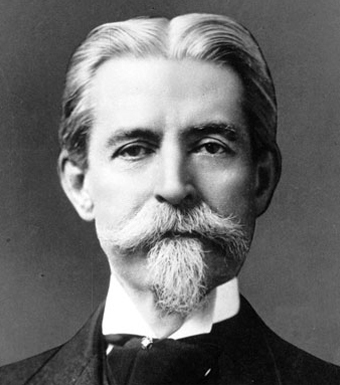 In 1919, James E. Hanger passed away, but not his legacy. Today, Hanger, Inc. is the largest provider of prosthetics in the world. Since 1861, Hanger’s prosthetic limbs have been a key factor in integrating “broken” veterans back into civilian life in every major American conflict. By making prosthetics more functional and less expensive, he transformed the personal and professional lives of veterans. It may have taken several generations for Americans to fully recognize the physical and psychological hardships amputees face after war, Hanger’s prosthetics allowed these same veterans to pursue professional careers and provide for their families. The effect Hanger had on society and on veterans is why I ultimately chose him as my favorite historical person from the Civil War. Kristen M. Trout is the Programming Coordinator and Historian at the Missouri Civil War Museum in St. Louis, Missouri. She graduated from Gettysburg College in 2014 with a BA in History and Civil War Era Studies, and is currently pursuing her MA in Nonprofit Leadership and Management at Webster University. A native of Kansas City, Kristen has a fond interest in the Civil War in Missouri, Civil War medicine, and the war experiences of soldiers. According to the Soldiers and Sailors System Database and National Archives and Records Administration, James Edward Hanger was never officially a member of the Churchville Cavalry Company, 14th Virginia Cavalry Regiment. There are no records of a “James E. Hanger” in that unit. Instead, records indicate he was actually a member of the 23rd Virginia Infantry Regiment, which was present during the Battle of Philippi. Additionally, the 23rd Virginia had members from Churchville, Augusta County, Virginia. These observations were also noted in Hugh T. Harrington, Civil War Milledgeville: Tales from the Confederate Capital of Georgia (Charleston, SC: The History Press, 2005). James Hanger, “The First Amputee,” in Life and Limb: Perspectives on the American Civil War, ed. by David Seed, Stephen Kenny, and Chris Williams (Liverpool, UK: Liverpool University Press, 2015), ebook. William R. Feeney, “Proselytizing Prosthetics: J.E. Hanger and the Growth of an Industry,” National Museum of Civil War Medicine Blog, 24 February 2017, http://www.civilwarmed.org/prosthetics2/; Dr. Robert Gailey estimates as many as 70,000 amputations occurred during the Civil War as cited in Michael MacRae, “The Civil War and the Birth of the US Prosthetics Industry, The American Society of Mechanical Engineers, n.d., https://www.asme.org/engineering-topics/articles/bioengineering/the-civil-war-and-birth-of-us-prosthetics-industry. Brian Craig Miller, Empty Sleeves: Amputation in the Civil War South (Athens: University of Georgia Press, 2015), ebook. “Hanger’s History Timeline,” Hanger, Inc., n.d., http://www.hanger.com/history/Pages/Timeline.aspx. Rufus Rhodes, Annual Reports of the Confederate Patent Office: 1862-1865. James I. Robertson, After the Civil War: The Heroes, Villains, Soldiers, and Civilians Who Changed America (Washington, DC: National Geographic, 2015), 136. Mathew W. Lively, “J.E. Hanger Lost His Leg But Not His Ingenuity,” Civil War Profiles, 16 March 2013, http://www.civilwarprofiles.com/j-e-hanger-lost-his-leg-but-not-ingenuity/. Robertson, After the Civil War, 136. This entry was posted in Common Soldier, Medical, Personalities, Reconstruction and tagged 16th ohio infantry, 23rd Virginia, amputation, augusta county, battle of philippi, civil war amputee, favorite17, Hanger Inc, James E. Hanger, James Hanger, patent, prosthetics, staunton, surgeon, Virginia, Washington College. Bookmark the permalink. Wonderful choice of a favorite Civil War soldier, so representative of so many maimed veterans, but this one with such innovative persistence and skill. My favorite is my great grandfather who spent time in Confederate prisons and came home a broken man. His wife and children suffered the results of his service. I estimate in all my family lost a generation of progress toward reaching the American middle class. Thank you for sharing your great grandfather’s story of his post-war life, and for taking the time to read and respond. It is so sad hearing of those veterans who came home from war bearing the physical and psychological scars of war. From my research on Hanger and his prosthetics, it seems that his simple invention helped countless veterans who had lost their limbs from the war, making broken men complete again. Unfortunately, many of those with psychological wounds were sometimes never healed. Great choice! Amputation was necessary to save lives, but those lives were in need of redefinition. I bet Mr. Hanger would love to see the advances in this area. Meg, thank you for reading and replying. It is so true about those amputees who were healed physically, but needed a chance to redefine and heal their own manhood, pride, honor, and masculinity. Today, veteran amputees run marathons, hold professional careers, drive cars, ride motorcycles, play sports, and are physically able to do nearly everything a person with all their limbs whole can do. Back then, veterans with those same wounds struggled to find work, marry, and live day-to-day. Without Hanger, I am not sure we would have these critical developments in the field of prosthetics. In Sam Hood’s book about his famous ancestor, he noted that John Bell Hood preferred a prosthetic limb made in Virginia to one that was brought in through the blockade from France. The specific source of that Virginia-made prosthesis is not given, but wouldn’t it be interesting if it was one of Hanger’s early creations? Andy, thanks for reading and replying to my post. I will definitely have to check that out! I will do some digging around for more information! Good post. I wrote the only book on him The Amazing Legacy of James E. Hanger Civil War Soldier. I think he was the.most significant man today from that war. BTW he is listed in the company records of the Churchville Cavalry. Bob, thanks for reading and replying, and for writing his biography. The records for Hanger are extremely vague, which led me to dig around for information regarding his unit. I was never able to verify his participation in the Churchville Cavalry Company, just the 23rd Virginia Infantry, but I will most certainly do some digging around in the company records as you said!